Akeneo PIM is open source code that is easy to customize and has a community of members who actively contribute for improved product security and development. If your business offers a wide range of products, you may use Akeneo to accurately define product attributes, provide rich descriptions and continually update images and other media. Akeneo ensures that whatever channel your users choose to view your merchandise on, they see the most compelling information so they’re more likely to make a purchase. Why Integrate Akeneo PIM With Magento? If you offer merchandise through a Magento website, you may wonder why you need integration when Magento already has easily customized product descriptions and an extensive array of tools for product management. 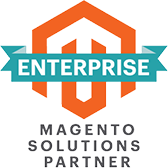 Integration helps Akeneo and Magento work together. If you’re an e-commerce owner, shoppers view your offerings on both mobile and desktop devices. They also may approach your products through online marketplaces like Amazon or eBay or purchase products at retail locations. Integration allows you to manage product information at the front end through your Magento site. Rapidly import data from Akeneo into your e-commerce site and keep it updated with automatic synchronization. Allow updates in real-time or schedule them for when your site receives the least traffic. Utilize Magento architecture for multiple stores, languages, and currencies. You receive an improved data management solution, because all product information synchronizes to a central location. Deliver and update product information across all channels so no matter where a customer starts, their experience with your products and your brand keeps them coming back for more. When you need a customized integration to make better use of your existing business tools, Forix has extensive experience implementing smooth integrations. We can with your Akeneo PIM Integration. If you need an e-commerce site that showcases your products, Forix has successfully launched almost 800 Magento sites. Get in touch with our Managed Support team to start planning your next project today. Let the dedicated Magento Support team at Forix help connect Akeneo to your Magento website today. Get in touch to start your integration today.